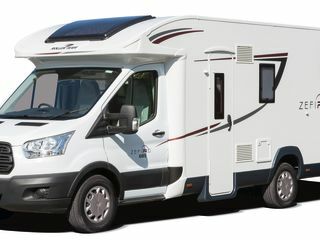 The Zefiro 690 with Fords superb Euro 6 cab for fantastic driving position, cruising and safety. Everything you could possibly need to make your mobile experience enjoyable with that home from home feeling. 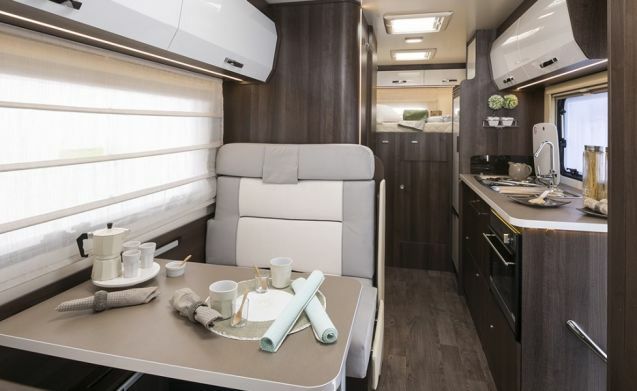 The interior of the Roller Team Zefiro 690 has a pleasing ambience and feels spacious, thanks to light coloured walls and ceilings, and cream cabinetwork and upholstery. The front lounge has four belted travel seats. Upholstered in a soft fabric, they’re comfortable with plenty of legroom. For mealtimes, the seat benches extend using slide-outs. Add the four cushions and the table extension which are stored in the wardrobe, and a family of six can sit around to eat. 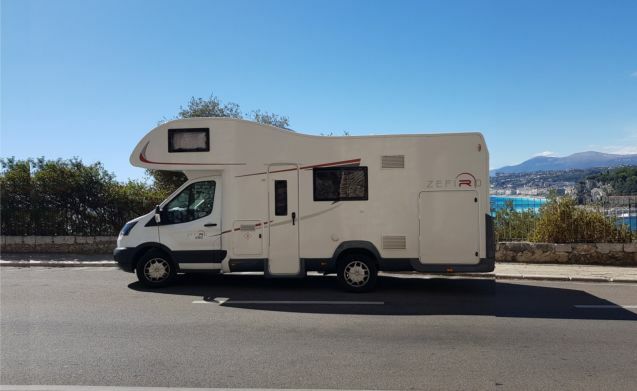 The kitchen in the Zefiro 690 is compact comprising cooker with three gas burners and seperate oven/grill, as well as a tall fridge with separate freezer compartment and big luxury cooler. 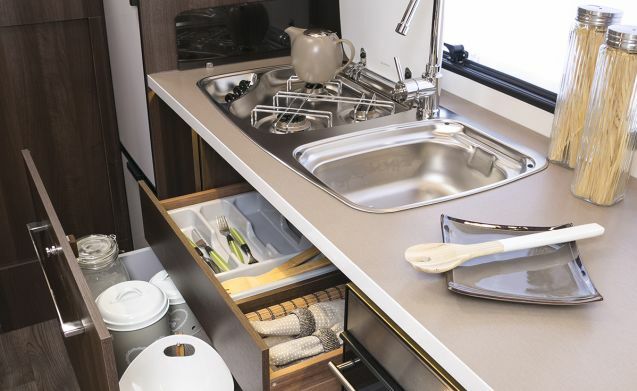 Under the rectangular sink lie two wide drawers, which will accommodate a wide array of kitchen utensils, pots, pans and foodstuffs. With even more storage cupboards above the cooker. To accommodate the large garage underneath, the rear bed sits quite high. It measures 2.16m x 1.34m (7’1” x 4’5”) and offers plenty of support. 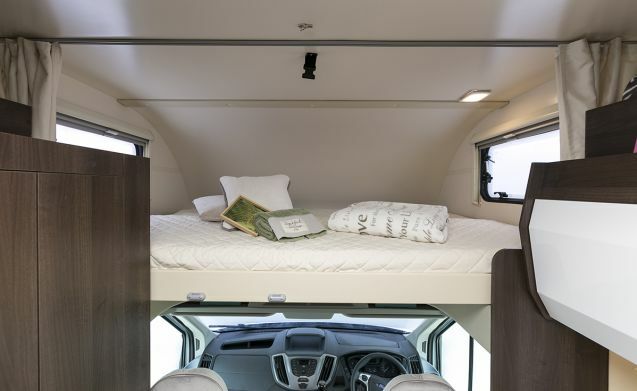 Safety netting is provided to prevent the occupants of the rear bed from falling out. The lounge double bed can be made up using the seat extensions and extra cushions, and only takes a couple of minutes to do. 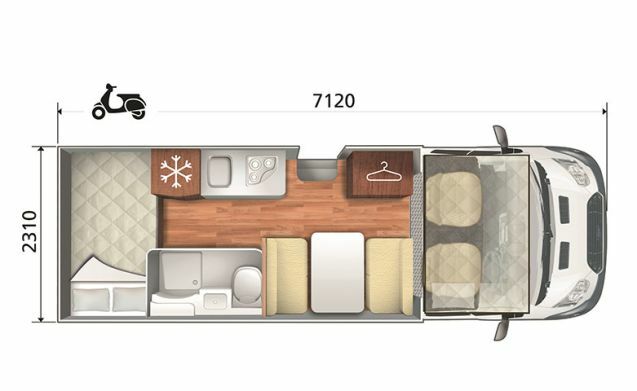 The Zefiro’s largest double bed is in the overcab, accessed via a ladder that clips to the wooden edge of the cab roof section with plenty of headroom. There are small windows at each end of the bed, plus a light and privacy curtain. A modern looking washroom is located opposite the kitchen. 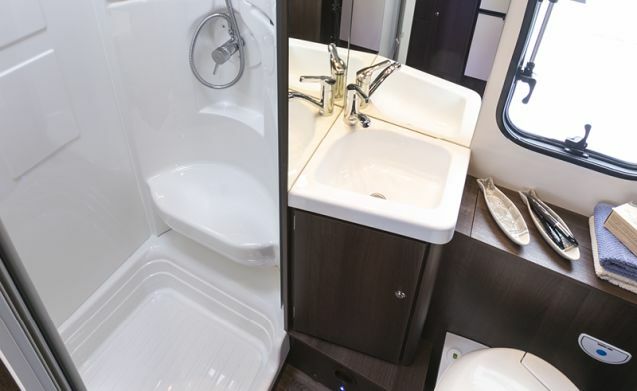 To the left is a full-size shower unit and to the right a toilet, with a sink and vanity unit in between. Access is via a door with a domestic-style handle & lock. 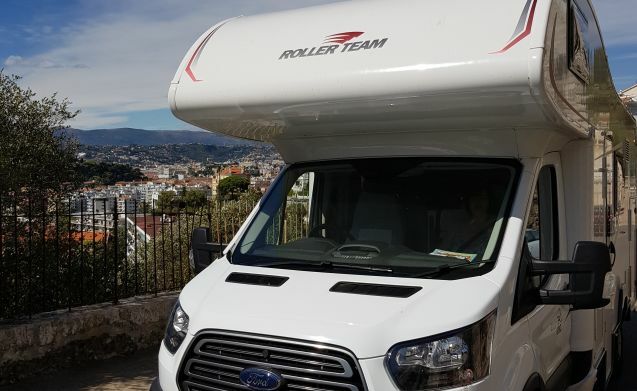 Storage-wise, the Roller Team Zefiro 690 is fantastic. 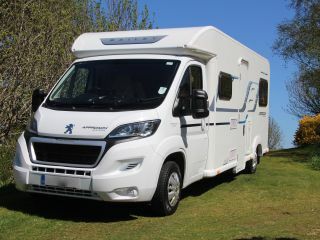 The large rear garage is accessed from either side of the motorhome and via an under-bed hatch from the interior. Several overhead lockers are available in the bedroom, kitchen, lounge and washroom. There is a three-quarter length wardrobe opposite the front lounge with a cupboard underneath. 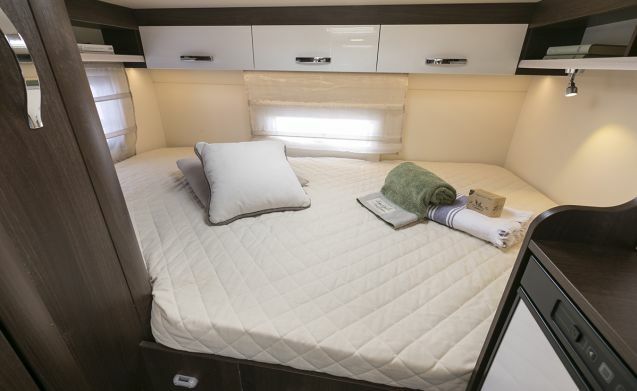 There’s also a cubby adjacent to the rear double bed, plus a vanity unit in the washroom. Please ensure the vehicle is returned in the same condition that it was collected, clean and tidy. You MUST also ensure the CHEMICALTOILET and the WASTE WATER are emptied. PLEASE NOTE:- If the vehicle is returned and needs cleaning, a charge of £40 will be made. The vehicle must also be returned with a FULL TANK OF FUEL. PLEASE NOTE:- If the vehicle is returned with fuel missing, a charge of £15 plus fuel costs will be made. These Charges will be Deducted from Your Deposit. Any Breakages or Damages to the vehicle MUST be declared on return of the vehicle. Costs for Damage will either be deducted from your Deposit or in the event of an Insurance Claim your Deposit will be used for the Insurance Excess.